As a business owner and entrepreneur, you have many responsibilities. One of the most important is the successful execution of a sales process. One of your main goals as a business owner is to make a profit…and you can’t make a profit if you can’t make sales! However, this is easier said than done. 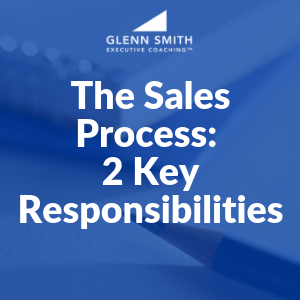 When it comes to successful sales, business owners have 2 key responsibilities. The entrepreneurial side of you should be continually looking for ways to improve your own personal selling effectiveness. You should be seeking out resources on becoming better – books, seminars, webinars, sales training, events, online courses. In addition, the owner side of you should be continually looking for ways to improve the overall selling effectiveness of your team and company. How will you ensure that your salespeople are improving? How can they increase their effectiveness in selling? Although they are two different areas of responsibility, you can apply documentation and collaboration to combine them into one successful sales system. If your selling process is in your head, then it’s not a process – it’s only an idea. However, if you put your steps on paper, your selling process becomes an asset! Have you documented your own process yet? Take some time to write down the steps you take when you sell. How do you prospect? How do you do the initial call? How do you follow up? What questions do you ask? How do you close? How do you make sure customer fulfillment takes place? You also need to think about how you have documented the process of your company’s sales training. Every wise business owner documents every aspect of this critical business system for training purposes and to have consistent, reliable results. You should also build a team of employees, contractors, referral sources, and partners who can effectively sell for you. Then, take time to regularly ask yourself and your team how you can sell better. Remember that the sales process is the lifeblood of any company, so you should always try to improve this critical function. The more effective your selling process is, the better your business will become! As a business coach and a sales coach, I help business leaders successfully wear these two hats in the selling process. With the right documentation and collaboration, they have taken their businesses to a new level! 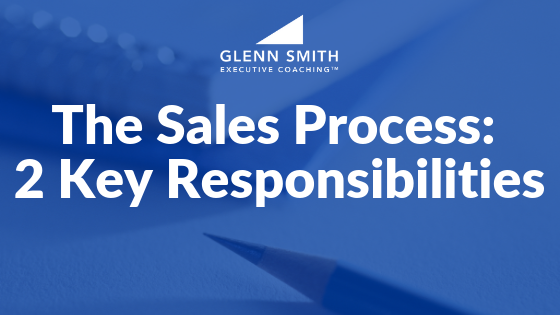 Take action today and assess your sales process. If you need help, contact us. You’ll be glad you did! As a business owner, you have many responsibilities. One of the most important is the successful execution of a sales process. Read what it takes here. I’ve been trying to get those “free e-books” but no email is being sent to my inbox, tried a multiple times. How can I be assisted?